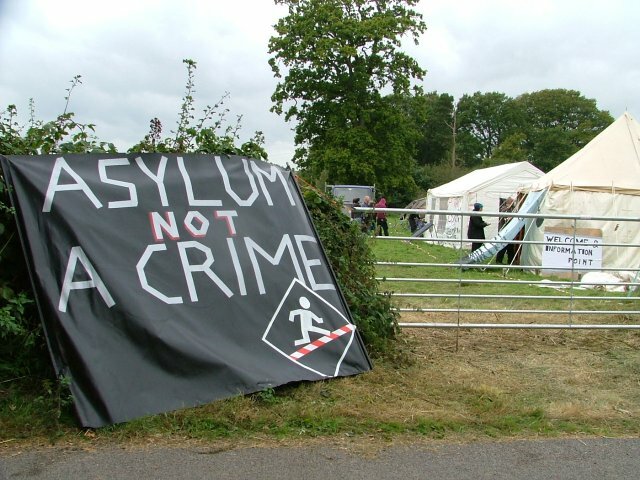 World Report: "New immigration prison to open at Gatwick this spring," Corporation Watch UK, January 29, 2009. "New immigration prison to open at Gatwick this spring," Corporation Watch UK, January 29, 2009. The Gatwick No Border Camp. Photo: IndyMedia UK. When opened, Brook House will be situated within the boundary fence of Gatwick airport, approximately half a mile from the other existing detention centre at Gatwick, Tinsley House, on the South Perimeter Road. The facility is being developed on behalf of the UK Border Agency (UKBA) by the Airport Property Partnership (APP), a joint venture between the British Airports Authority (BAA), which owns the airport, and Morley Fund Management, an asset management company owned by insurance group Aviva. The arm of BAA which deals with commercial property is BAA Lynton, which obtained the planning permission for the building of the detention centre on behalf of the APP, as they did with Tinsley House. ...the Independent Monitoring Boards said in their 2007 annul report that the 'reception area' in Tinsley House, a small and inhospitable cell-like room, "remains a threatening environment for children."